The Winter Weekend proved to be an extra special time of revelation and synchronicity, with the solar eclipse in Pisces proving a focal point for our exploration of the Moon, nodes and eclipses in our lives. The depth of discovery was immense, and sharing with others in the comfortable and homely surroundings of the Abbey House supported students and tutors. Being able to view the Abbey ruins from our main teaching room was an added plus! Our visit to Chalice Well to honour the eclipse provided the opportunity for private meditation and rounded off the weekend beautifully, and I would like to thank everyone who attended and participated so fully. It truly was a memorable time that seems to have seeded something beautiful and long-lasting, which time will reveal. Thank you so much. This intensive and profound astrological weekend will take place in the heart of Glastonbury, a small town in the South West of England embedded in myth and legend. The Winter Weekend is designed for students familiar with natal chart work and is especially suitable for those studying Diploma Level I or higher, offering scope to explore the imaginative world of the Moon and the Nodes in the natal chart from cosmological, symbolic and experiential perspectives. The complex interweaving dance of Sun, Moon and Earth informs our understanding of life on a profound level inviting reflection on the call to incarnation and the journey we each take on our soul’s path. The Moon and Nodes together can be viewed as patterns and pathways through which we engage with life more deeply. Both can act as gateways between the metaphysical and material dimensions of life. 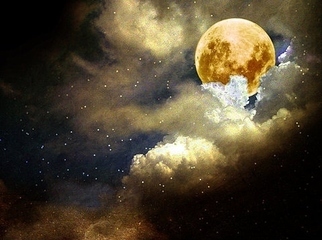 The Moon evokes exploration of emotional patterns and needs and the experience of embodiment. The Nodes represent a deeper soulful or spiritual awareness of belonging and becoming. Bringing awareness to these symbolic patterns helps shape our self-awareness and support our emergence into a more rounded understanding of ourselves. Students will work in-depth with their own charts and those of their fellow students in pairs, small groups and in plenary teaching sessions, which will be held in comfortable and informal surroundings. The solar eclipse on 26th February at 8⁰ 12’ Pisces (14.58 GMT) brings the relevance of the nodal axis into tangible experience, and this will be recognised in the course. 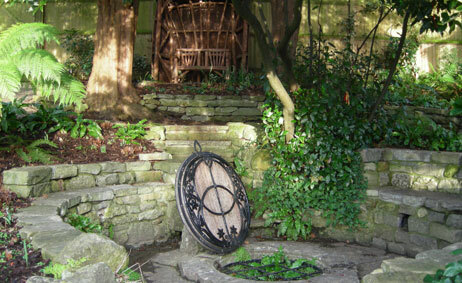 An optional visit to Chalice Well Gardens for the eclipse will enable students to honour this symbolic gateway in the surroundings of an ancient healing sanctuary. The number of places is restricted to a maximum of twenty students and these are allocated on a first come first served basis. Students are therefore advised to book immediately in order to ensure their place. Booking will close on Thursday 9th February 2017 at 5pm and it will not be possible to book after this time. Glastonbury is located in beautiful countryside just south of the rolling Mendip Hills. 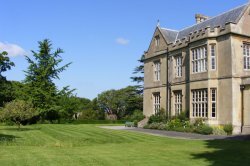 Renowned for its links with Arthurian legends and magical atmosphere, it is an attractive and peaceful setting for our astrological weekend. Glastonbury has a strong tradition of pilgrimage that mirrors our inner journey of self-discovery, and is a fascinating town where old paths and new ways of being weave together. There is a wide range of cafes, independent shops and booksellers that are well worth exploring, as well as world-famous landmarks such as Glastonbury Tor and Wearyall Hill. The Abbey House is in the very heart of Glastonbury, next to the Abbey grounds. It is a comfortable, well-established and welcoming retreat centre that offers a truly unique setting for this extra-special Winter Weekend. Glastonbury can be reached easily by car (free parking is provided at the Abbey House) and train, and the nearest airport is Bristol. Full travel and delegate information is available here. Non Faculty students may attend at the tutors’ discretion. Please contact the Winter Weekend Organiser deborah.morgan@astrology.org.uk for more information about pre-requisites. Students new to the Faculty will be charged an additional one-off new student fee of £35 in addition to the course fee. The Winter Weekend will be led by Cat Cox and Glòria Roca Riera, both highly experienced Faculty tutors who have taught at our annual Summer School in Oxford. Cat Cox also teaches Diploma London classes. Cat Cox - B.Sc (Hons), MA, D.F.Astrol.S. Cat began studying astrology over 25 years ago and was awarded the Faculty Diploma in 1996. She has studied horary astrology with John Frawley and was awarded the MA in Cultural Astronomy and Astrology from Bath Spa University in 2007. She has an interest in the philosophical perspectives which inform contemporary astrology. She is also interested in the experiential dimension of astrological practice and how we work practically with symbols and myth. 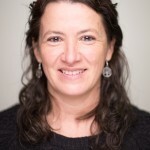 She practices in London and enjoys running workshops and groups. Glòria Roca Riera - D.F.Astrol.S. Born in 1961, Gloria started to study astrology formally in 1991 with the Faculty. She has also studied esoteric astrology with Alan Oken and Hermetic Symbology at the Centre d'Estudis de Simbologia de Barcelona. She obtained the Faculty's Certificate in 1993 and its Diploma in 2002. Gloria works as a teacher, consultant astrologer and Faculty tutor since she obtained her Diploma. 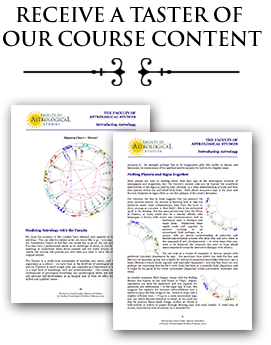 She combines this work with her astro-feng shui practice and research into her fields of interest: psychological astrology and astromapping techniques. Deborah Morgan - D.F.Astrol.S., B.A. Hons. S.T.A. Cert. 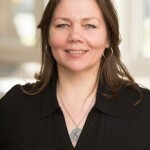 Deborah Morgan is a distance learning tutor and has also taught at Summer School. 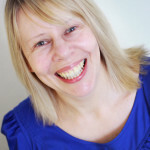 Deborah runs her own astrological practice based in Nottingham and specialises in using astrology for personal and business development work, using experiential techniques together with astrology to assist clients in moving forward towards their goals. She is keenly interested in the Western Mystery Tradition, medieval literature and mythologies, and their links with astrology. The course starts with dinner at 7pm on the evening of Friday 24th February and finishes at 1 p.m. on Sunday 26th February. An optional trip to Chalice Well to honour the eclipse will leave the Abbey House at approximately 2 p.m. Please note that the entry fee to Chalice Well (currently £4.20) is not included in the course fee, and you are advised to bring a waterproof coat. Glastonbury Tor, Chalice Well and Wearyall Hill, the site of the Holy Thorn, are all within easy walking distance, while the town offers a range of eclectic cafés and specialist shops. The weekend is fully residential and all meals and refreshments are included. There are two kitchenettes stocked with a range of hot drinks, fresh milk and confectionary. You may store medication or personal items in the fridges here. 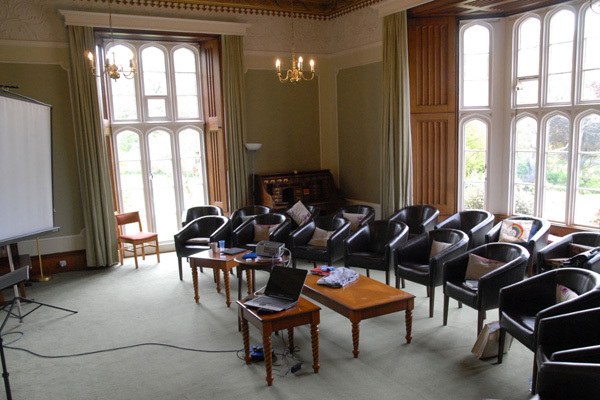 The Abbey House offers a range of accommodation types, and students are advised to book very early if requiring an en-suite room (1 twin and 1 double only) as these will be allocated on a first come first served basis. All other bedrooms have a wash basin and shared bathroom facilities, and towels are provided. A limited number of twin and double rooms are available if students wish to share. All other rooms are single occupancy only. Rooms vary in quality, and students booking early will be allocated more comfortable rooms at no additional charge. All meals and tea and coffee in the morning and afternoon breaks are included in your course fee. Vegetarian, gluten-free, wheat-free, dairy-free, vegan and raw dietary options are available, but these must be selected when booking. A limited number of non-residential places are available. Please contact the Winter Weekend Organiser directly for more information and a booking form. Please note: Payment for the Weekend includes a non-refundable deposit of £150. In the unlikely event that the course attracts too few students for us to run it successfully, the Faculty of Astrological Studies reserves the right to cancel. For this reason, the Faculty strongly advises that students obtain travel insurance if booking flights from outside the UK. Any deposit paid by the student will be refunded if the course is cancelled.